This piece is recognized by sword collectors from all over the world and will be a stunning wall-display for your home, office or martial arts school. 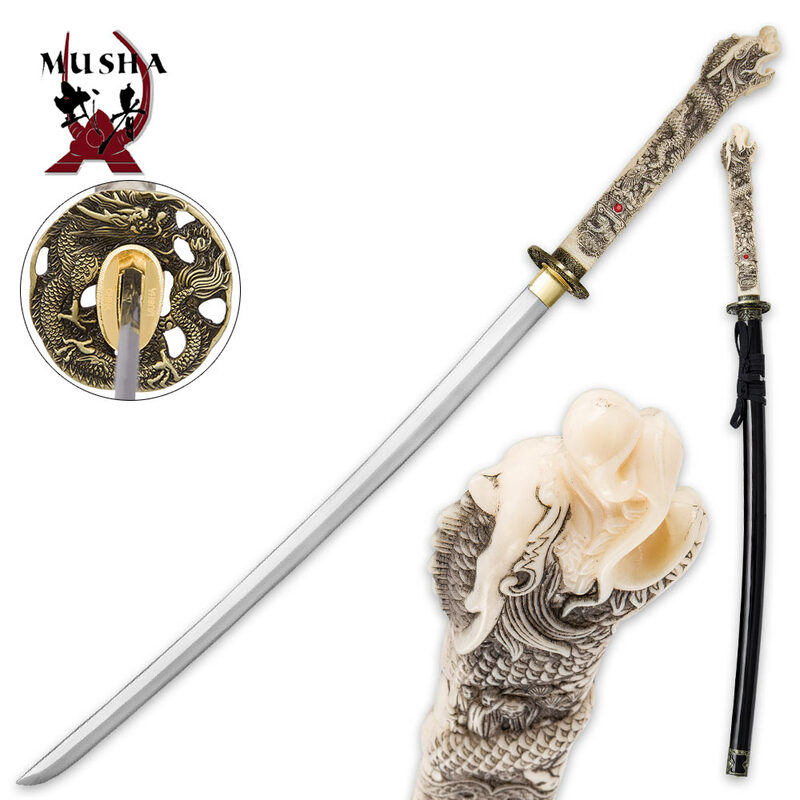 The sword features a faux ivory open-mouthed dragon head handle with hand painted details, accented by a highly-detailed guard. The 28” blade is made of carbon steel and it comes in a choice of a black or red scabbard.